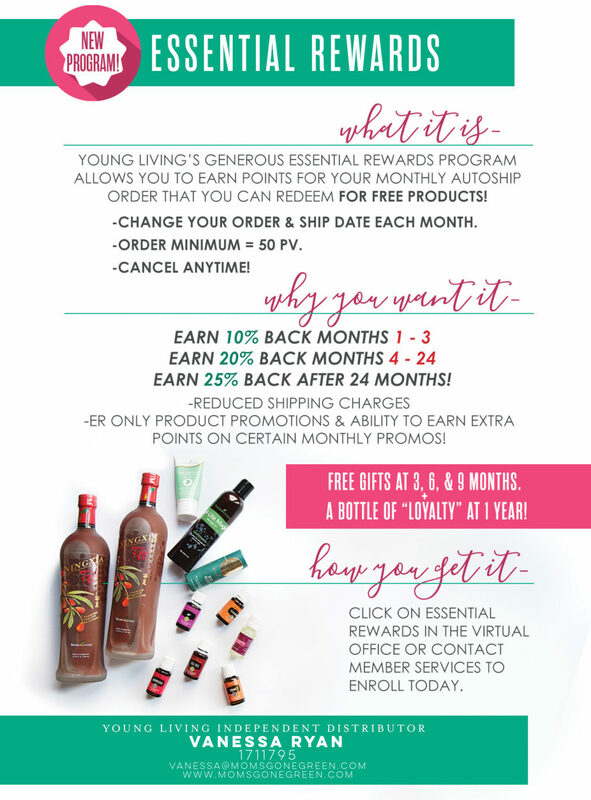 With Young Living, there are NO monthly minimums. However, if you are going to be ordering essential oils, natural household products, skin care, make-up and so on, then it makes sense to avail of the amazing Essential Rewards Program! All you need to order is 50PV which is approximately $50 a month. You get reduced shipping and here are the rewards you earn! When you earn points, you can use these points to buy whatever products you want – all you have to pay is tax and shipping! And if it is not for you, you can also cancel at any time, there is no funny business/no penalties!